The global orthopedic braces and supports market is projected to reach USD 1.42 billion by 2022 from USD 1.10 billion in 2017, at a CAGR of 5.2%. Rising number of accident-related injuries, growing prevalence of orthopedic disorders and diseases, and availability of reimbursements for OTC orthopedic braces and supports are the major factors driving the demand for orthopedic braces and supports. However, factors such as limited clinical evidence to support the efficacy of orthopedic braces and supports and limited options to customize OTC orthopedic braces & supports and is limiting the growth of the market. In 2017, on the basis of product, the lower extremity braces and supports segment is expected to register the highest growth rate during the forecast period. The rising geriatric population, growing adoption of braces among athletes, and the increasing use of braces and supports by osteoarthritis patients and athletes for preventive care are factors driving the demand for lower extremity braces and supports. On the basis of application, the ligament injury segment is estimated to register the highest growth rate in 2017 and this trend is also expected to continue during the forecast period. The growth of this segment is attributed to increasing public participation in sports & athletic activities (coupled with the rising incidence of sports-related injuries) and awareness regarding the clinical benefits of these products in the effective clinical management of ligament injuries. In 2017, on the basis of sales channel, the pharmacies & retailers segment is expected to account for the largest share of the market. The dominant share of this segment is attributed to the availability of orthopedic bracing products through retailers & pharmacies, increasing reimbursements for OTC braces among developed countries, and the significant adoption of off-the-shelf braces for sprain & ligament injury among major countries. Geographically, the OTC braces and supports market is segmented into North America, Europe, Asia Pacific, and the Rest of the World. Asia Pacific is expected to register the highest growth rate during the forecast period owing to increasingly localized manufacturing, favorable government regulations, and growing focus of global product manufacturers on expanding their presence in APAC countries. The global OTC braces and supports market is competitive, with a large number of global and local players. In 2016, the market was dominated by DJO Finance LLC (US), Breg, Inc. (US), and Ossur Hf (Iceland). Product launches, strategic acquisitions, and partnerships were the major strategies adopted by market players to achieve growth in the market. This report studies the orthopedic braces and supports market based on product, application, and sales channel. The report also studies factors (such as drivers, restraints, opportunities, and challenges) affecting the market growth. It analyzes opportunities and challenges in the market for stakeholders and provides details of the competitive landscape for the market leaders. Furthermore, the report analyzes micromarkets with respect to their individual growth trends, prospects, and contributions to the total market. The report forecasts the revenue of the market segments with respect to four main regions. 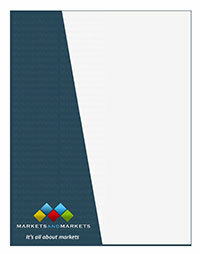 This research report focuses on various levels of analysis?industry trends, market share analysis of top players, and company profiles, which together comprise and discuss the basic views on the competitive landscape, emerging and high-growth segments of the orthopedic braces and supports market, and high-growth regions and countries and their respective drivers, restraints, challenges, and opportunities. The report will enrich both established firms as well as new entrants/smaller firms to gauge the pulse of the market, which in turn help firms garner greater market shares. Firms purchasing the report could use any one or a combination of the below-mentioned five strategies for strengthening their market shares.